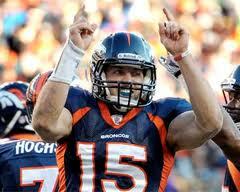 FOX NFL insider, Jay Glazer reports that Tim Tebow has been traded from the Denver Broncos to the New York Jets. He said the Jets had to give up a 4th round draft pick and a 6th-round pick in exchange for the former Heisman Trophy winner and got an additional 7th round pick in return. Eight hours after initially agreeing to a deal, the teams completed the trade that was hung up earlier Wednesday when the Jets apparently balked at repaying Denver more than $5 million for a salary advance due Tebow. ESPN reported that the two sides had agreed to split that cost. The Jets already have a starting quarterback in Mark Sanchez, but if Sanchez chokes again, like he did in the previous season, then Tim Tebow could be in a good position to take over the number spot.